EZ Pedo, Inc. v. Mayclin Dental Studio, Inc., No. it made from stock photos, but its trade dress claims failed. 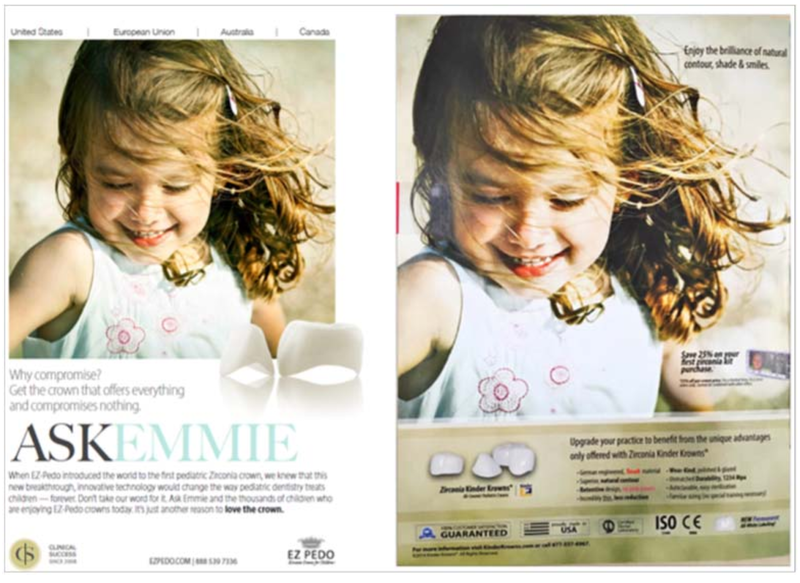 Kinder Krowns had used it in AAPD’s July 2014 print journal. blue is one of three default color choices. dress to advertise its own line of “Less Prep” crowns. vague tests for inherent distinctiveness. This entry was posted in Uncategorized and tagged Crowning inglory: no trade dress in short-lived ads trademark. Bookmark the permalink.